Jennifer is Tony Buzan’s master trainer in Mind Mapping. If you’d like to work with Jennifer she does a lot of coaching on Mind Mapping, Speed Reading and Memory. And she is a great presenter for your next conference. If you’d like to work with her email us at team@mindwerx.com. 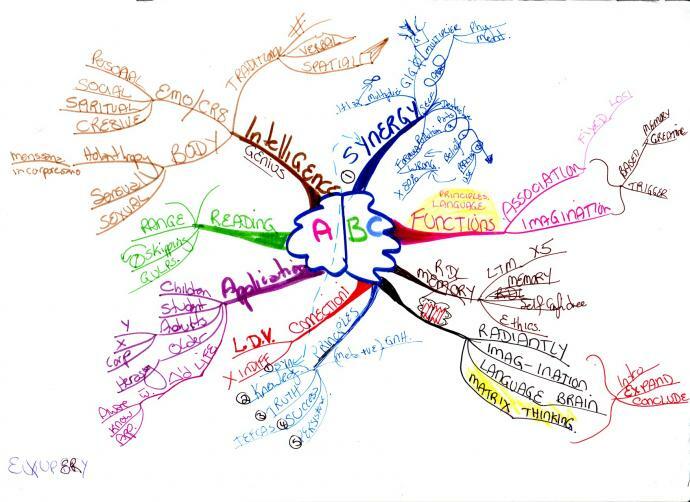 Mind Maps as developed by Tony Buzan are now used by millions of people globally, and this is another great example. At Mindwerx we love Mind Mapping, and have free eCourses, Online programs and in-house workshops we can deliver for your organisation. Check out our Advanced Learning Skills programs. Mindwerx International also facilitates a range of critical and creative thinking programs, including several workshop looking at Edward de Bono’s Six Thinking Hat®, Lateral Thinking, and DATT. The aim is to help you Think, Learn, and Innovate better.